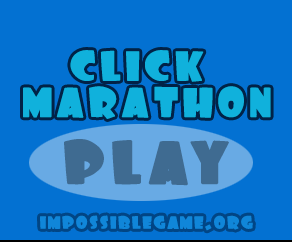 We suppose you may hurt your finger playing Click Marathon game 😀 because you will have to click as more as you can in 30 seconds. Challenge your friends with your high score. Remember starting the game you will be super fast, but after 20 seconds playing click marathon your speed may become poor but your mind should be stronger to make it faster 😀 Start playing the game and don’t forget to share your stats via comments, our team score is 217!